Plastic Reflective Trail Tacks | BUDK.com - Knives & Swords At The Lowest Prices! Every hunter and outdoorsman needs a good set of quality trail tacks. These orange tacks are perfect for day or night use. I was pleased with this item because if you out in the field and need to find your way back to camp night or day it works. Or to mark the location of a dangerous area you want to avoid. Or just to mark the spot where you shot an animal and the blood trail starts so in case you loose the trail you can always find it again and start over. 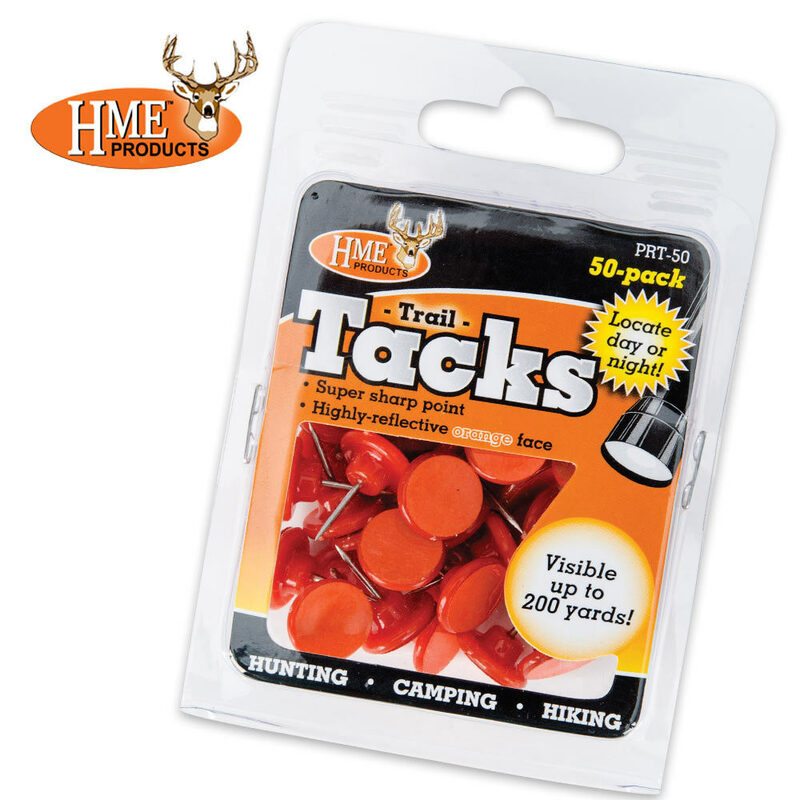 I recommend you buy at least two packs an place a tack about every 50 yards so it is easy to fine your way. Great item for a bug-out bag also mark your way to water source or just to find the latrine in the dark :).